The Land Down Under emerged as a strong market for Transoft due to a well-timed visit and fortunate introductions to key people. To stay ahead of the competition, those relationships had to be maintained and nurtured as best as could be. Customer service and continual product innovation were keys to making this happen. As we heard from the previous article, Milton was looking for “low hanging fruit” when it came to expanding Transoft into other countries. Australia fit the bill for a number of reasons, not least of which was having a good friend and fellow transportation engineer already established Down Under. One of the key clients that ordered an early version of AutoTURN was VicRoads, the Department of Transportation for the State of Victoria. Glenn Blundell, a senior traffic management officer for VicRoads, was an early user of AutoTURN and eventually became a software support person for Transoft in Australia. Having only just started using CAD-based programs a year earlier, AutoTURN was foreign to him, but he could tell there was some valuable functionality in the software. True to form, Milton was correct about Australia being a fertile marketplace. In the mid-1990s, AutoTURN was used to create turning templates for the country’s new design vehicles, which was published by Austroads. This project was headed up by a VicRoads’ Principal Engineer, John Cunningham, who was the catalyst to AutoTURN’s success in Australia. Milton made connections with John over the phone in the late 1990s. After some very extensive preparation and requests of John Cunningham for key introductions, Milton made a pivotal business visit to Australia in 2000, visiting John and his peers. Within a few months, virtually every state government was a user of AutoTURN. The road for AutoTURN wasn’t completely smooth in its early days. John Gill was responding to customer requests but the market was quite competitive. John Gill built on these inroads and grew the business singlehandedly to the point where the demand for a full-time person was beginning to show. John didn’t want to work for Transoft full-time, as he enjoyed his consulting work a lot, and so in 2006 Peter McIntyre was hired as Vice President for the Asia Pacific region. 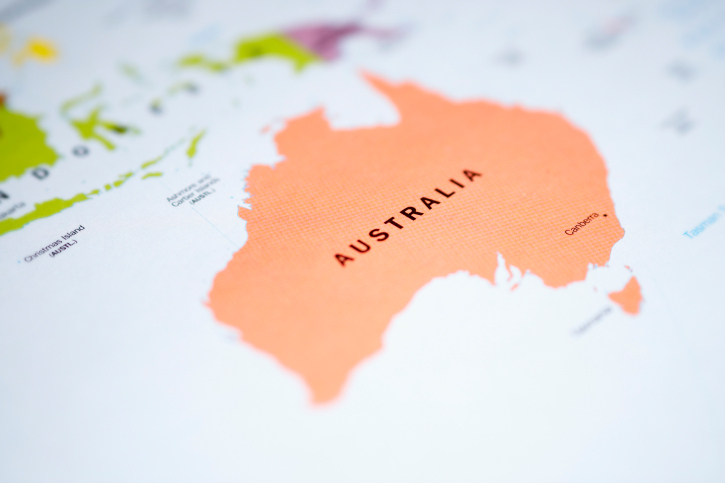 As Peter remembered, AutoTURN took some time to gain traction in the Australian marketplace. Although Peter joined Transoft in 2006, AutoTURN caught his attention over a decade earlier! “I first heard about AutoTURN at an Autodesk event back in 1995 or 1996,”said Peter. “At the time I remember thinking how neat an idea to use the vector geometry of AutoCAD to model vehicle movement simulations. Little did I realise a few years later I would head up the Asia Pacific operations for Transoft,” he continued. The relationship between Transoft and VicRoads was solidified in the late 1990's, when VicRoads became providers of technical support for AutoTURN for Australian and New Zealand users. Blundell wanted to help Milton and John provide excellent customer service for Australian clients. A solid market in Australia meant that Milton could now focus his energies on the European market. The European engineering community was ready for a software solution to help them with vehicle turning simulations. Where would Transoft go in Europe? Milton again drew on his network of friends and colleagues to choose his next office location. Read how Transoft crossed the Atlantic Ocean and settled in Rotterdam in the next installment below. July 5, 2013 by H Bhandal.